I saw this outside our bathroom window this morning. 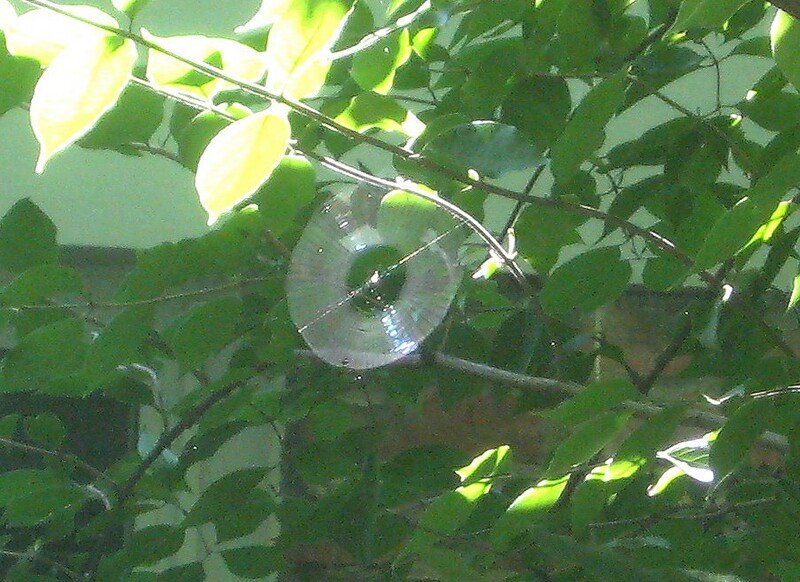 At first I thought “How did a CD get into our neighbors’ tree?” Then I realized it is a perfectly consistent, concentric spider web. I grabbed our camera and took a shot in the few minutes remaining for the sun to backlight it.